Ludington is and will continue to be a huge focal point for charter fishing on eastern Lake Michigan. The Port of Ludington is rated the #1 salmon fishing port throughout Lake Michigan. In the past three decades, more charters have originated in Ludington and more salmon and trout have been caught here than in any other port in Michigan. Ludington is also the home to 40 of the finest charter captains anywhere, all eager to share their knowledge and experience with you. Safety and comfort are top priorities for charter boat fishing! All vessels are licensed by the Michigan DNR and all captains are licensed by the U.S. Coast Guard. Our captains will make your fishing experience one of the most enjoyable and memorable for years to come! Developing liaisons with state and federal fishery management agencies to insure the maintenance and the growth of the local fishery. Establishing the economic contribution of the charterboat industry to the Ludington area economy. Cooperating with local and state tourism organizations to develop action plans to promote and market Ludington area charterboat fishing. Setting standards of conduct to insure the integrity and quality of the Ludington area charterboat industry. Acting as the mechanism of education and information exchange of and between area charterboat captains. Insuring adequate financing to accomplish the aforementioned goals and other objectives of the association. There are plenty of reasons why booking a fishing trip with a licensed charter captain is a great idea. They will provide a safe, guided trip so you can focus on having a great day fishing with your friends or family! 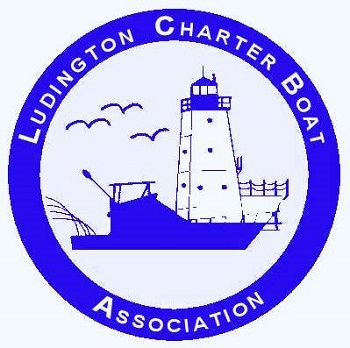 For more reasons to book with a charter captain, visit the Ludington Charter Boat Association website listed below.